It’s Silly Season it’s Vegan Stollen with a Rosy Marzipan Heart! Updated recipe – 2015 style! I thought I would do a re-jig of last year’s Its Silly Season its Stollen Time post. 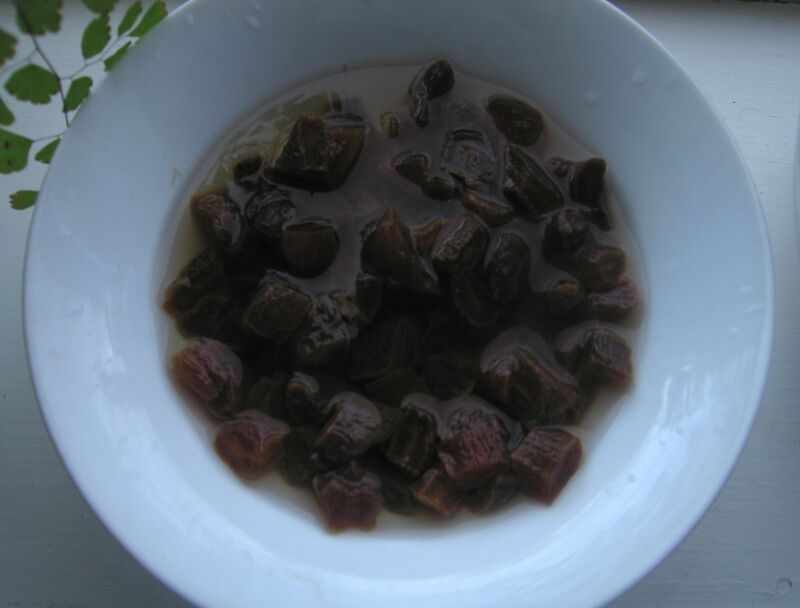 The wonderful Mihl from Seitan is My Motor agreed to let me put her recipe in this post (Thank you again! 🙂 ). I have made my little adaptions- to the wonderful original but do check out the link to her page as she has more pictures, describes the process very well and explains the tradition of Stollen! You can also discover all her other delicious delights. I have been making Stollen for Christmas for a few years. Clearly alcohol laden fruitcake is the Irish tradition, but I never liked it much. I was the person who ate the marzipan off the outside! I came across a wonderful recipe for vegan stollen here on “Seitan is my motor”. For emphasis her instructions are very clear! Which is what won me over. I was previously a bit intimidated by enriched dough. Knowing if you have kneaded enough, throwing the yeast in on top of the salt and immediately killing it ( 😦 ) etc. Kneading is all about getting your back into it and not being tempted to add more flour 🙂 Once you make this you will realise it can be done, to delicious results. I have adapted the recipe a little and I make my own marzipan for it (Marzipan recipe inc here!). My changes are few, you have to respect yeast no messing with the recipe too much or the magic chemistry will be off. I use coconut oil instead of margarine, I use a third of a cup. I rub it with coconut oil too. As you would expect because I am a vanilla fiend I use a generous dessertspoon of vanilla powder overall. 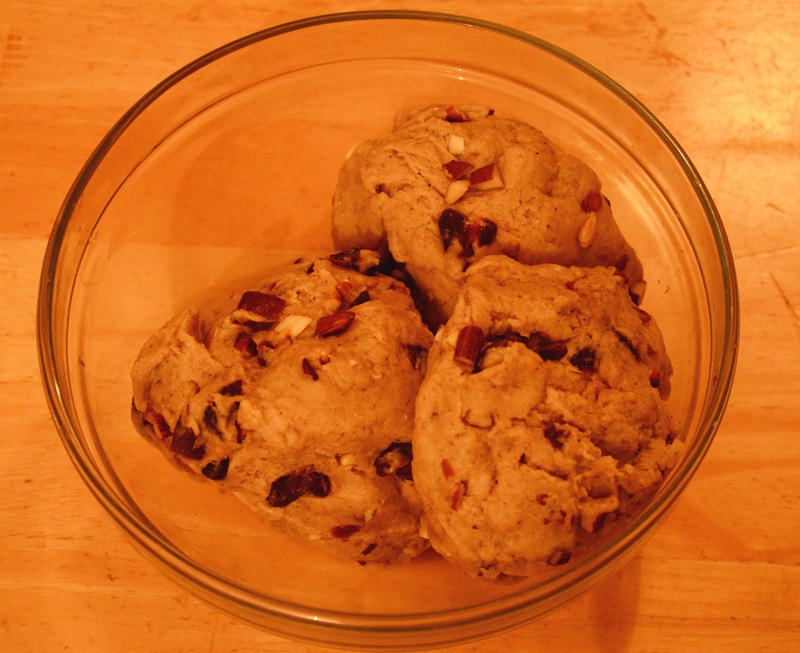 Finally I do not like raisins- I can stand a sultana in a scone …but raisins eep! and shiver! so I use chopped organic un-sulphered apricots in my stollen. So with no further a due the recipe! 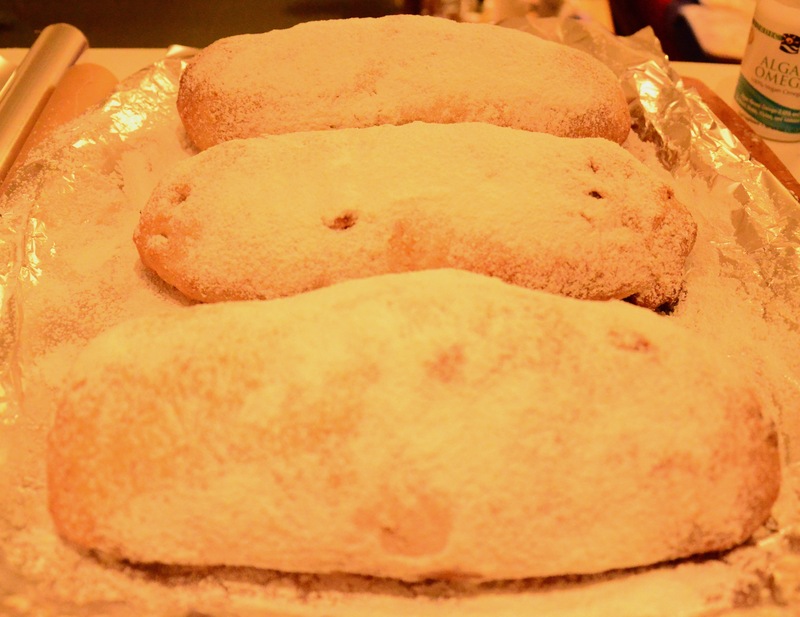 Stollen with a rosy marzipan heart! 7g/ 1 tsp dry yeast or 40g fresh yeast- I’ve never used the fresh in this! Seriously- don’t be scared! It will be soooo gooooood! So dough part un! I put my oven on to 100C/ 220F and put the third of a cup of coconut oil and the generous half cup of almond milk in a heat proof bowl and pop it in the oven to melt. Next! Mix your flour and sugar- press out any lumps. I don’t bother to sieve anything. 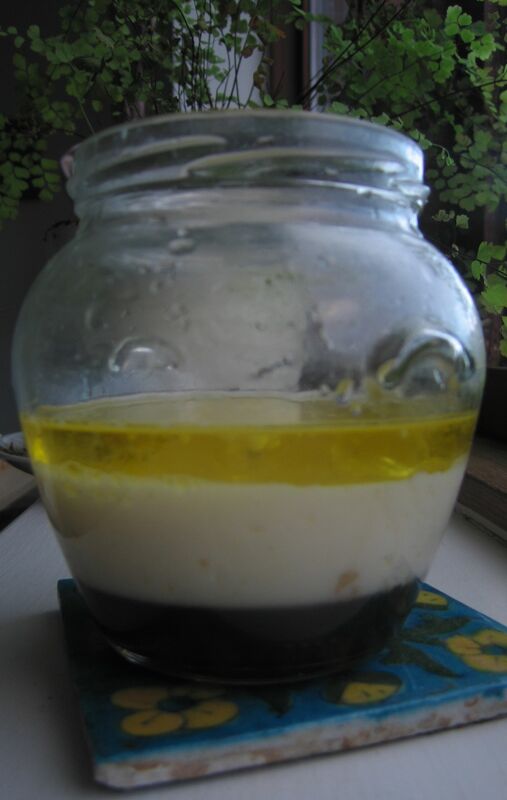 Take the melted oil and milk out of the oven and leave it to cool. You do not want the mix or the bowl to be too hot or it will kill the yeast. It should be body temperature. You could put it in another bowl- I like to save on wash-up though! Add the yeast, give a gentle stir to dissolve and add in your flour sugar mix. Combine it too a rough ball- add an extra splash of almond milk if very crumbly. Don’t cover it. Leave to sit for about 15 mins. Dough part deux: Put the dry ingredients (ground almonds mixed with the pinch of salt- if you are using vanilla powder put it in now) in on top of the dough and mix a bit- you need to use your hands. Mix the wet ingredients – I do it in a teacup- and pour this over your mix. And knead a bit to kinda combine. Transfer to a very lightly floured surface and knead for about 5 minutes. I do not partake in tons of kneading every day so I tend to take a minute or so to get the hang again, I knead for maybe 7 minutes. My technique is to push away from myself and then pull each side back towards me to form a ball again and then repeat. Try to keep doing it in the same direction Do not add more flour – the gluten will develop and it will stick to itself not the surface- you will even see it getting kinda stringy looking bits- which are the gluten strands! Now cover it and put it in the fridge for the night so it can rest, and you can too! The next day. The Dough part trois! It is usually the afternoon by the time I get around to making the stollen. So take it out of the fridge and uncover it, I usually leave it out for a couple of hours, but if you have a particularly warm kitchen you may not have to wait as long. The yeast will wake up and when the dough warms up it is easier to work with. Meanwhile chop your apricots and almonds . Now knead the apricots and almonds into the dough. You need to get your back into it! As the dough will be a bit stiff to start and you want to get them evenly distributed. It can take me maybe 10 minutes. Form it into a rough ball and divide into three. I draw an kind of an upside-down Y into the top of it to give me three even pieces. I digressed in 2014! Back to Stollen! Roll out one of your stollen. 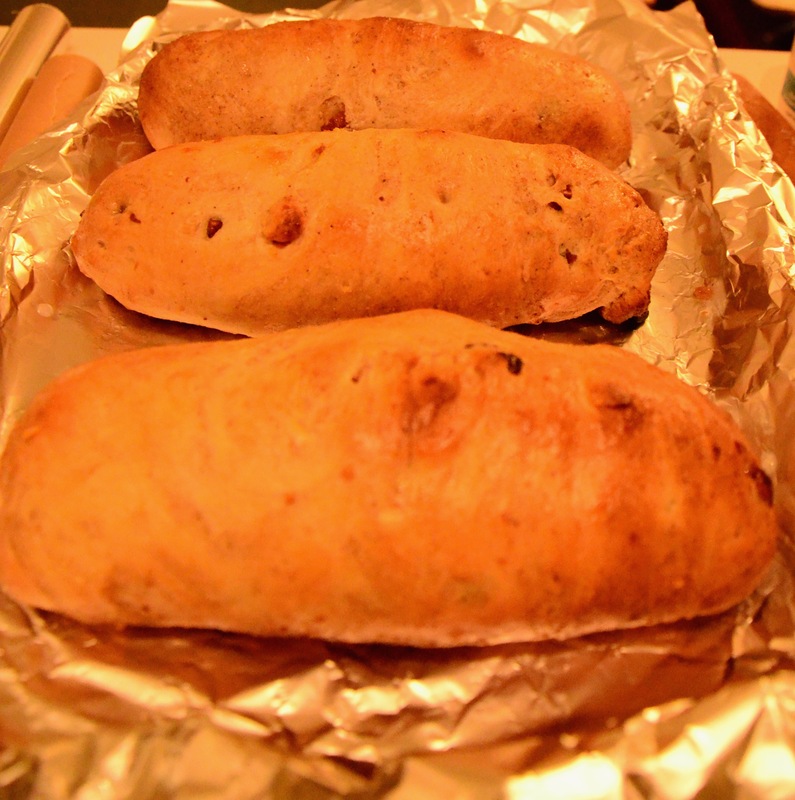 See Mihl’s site here: Stollen recipe and picture instructions! it should be about 12cm wide and you place your little marzipan log in the middle with a couple of cms to spare on the top and bottom. Fold the right side in and press it on top of your marzipan. Roll it all to the other side so the marzipan so completely covered. Now press the meeting points of the dough together, at the ends fold it over and under and gently pinch so the dough so there are no holes underneath. Cover with a damp towel, I leave mine for about 15- 20 minutes. My oven takes a while to pre-heat so I turn that on now to 200C / 400F. The world is chaos and the lack of order has impeded my ability to blog. That there is the excuse to preempt my apologies. My Brmufka- bread muffin cake, is the tale of a cake that went wrong and still tasted good. 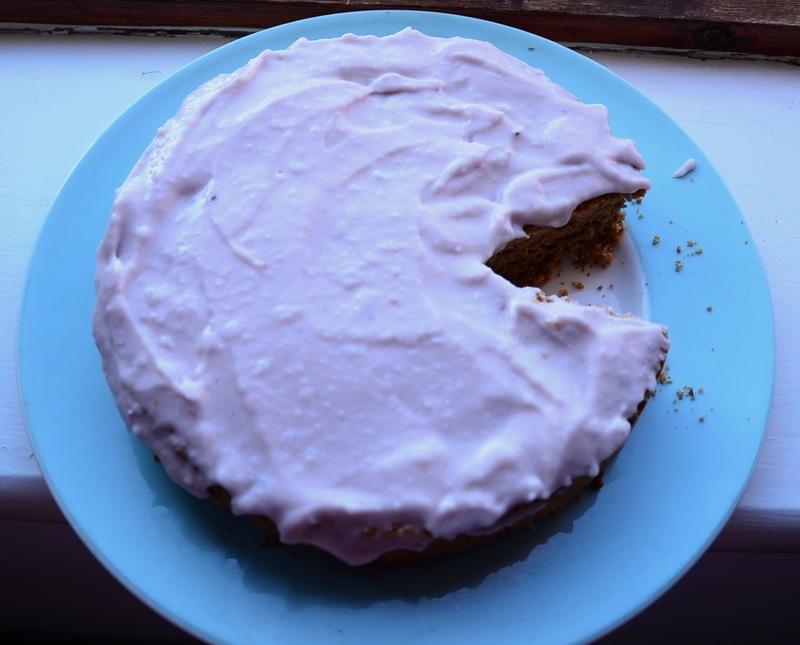 It tastes like a sweet bread- which I compensated for by covering it in a coconut yoghurt icing/frosting. I normally bake gluten free or at least wheat free, but not this time. There was a bag of whole wheat self-raising flour at work, it had had a hole poked in it. So rather than throw it out I thought I’d make cake! Half a teaspoon of vanilla powder/ or 1tsp of extract in the wet stuff! Note I used half a cup- hence Brmufka so it’s up to you what you want to do!! Get your bowl and put in flour,baking powder, soda, cardamom, salt and vanilla. You can just add your sugar, but I sieve mine first as it gets out the lumps and makes for a lighter cake. Put you apple puree, milk, quarter cup of water or juice and the vinegar. Get another bowl and work your oils together, add the orange oil and or orange zest. Pour the apple puree milk etc mix on top and mix them together. Make a well in the centre of your dry ingredients and pour in the wet. Gently fold together. Just so there are no lumps. You want a light touch so you do not knock the air out or end up kneading it !! Here is where the BR part of the Brmufka happened. Having been out of the habit of wheat, I over mixed- this developed the gluten- hence making it more bready. 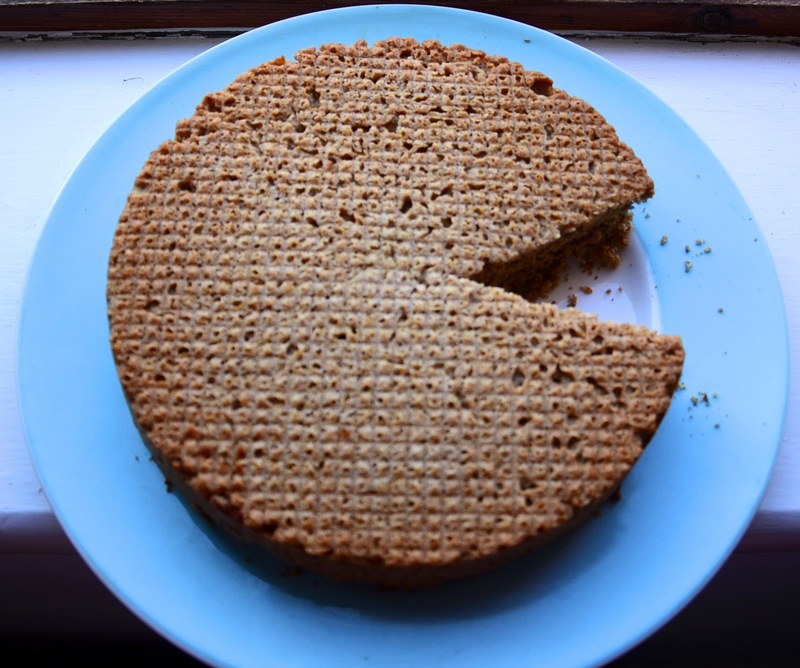 But there is more, I was going to make a low flat cake- like fingers and spread it on a baking sheet. I started doing this, realised I didn’t have enough batter changed my mind and then put in the cake tin. Over worked even further !!! Pop it into the middle of your pre-heated oven. My oven is hotter on the left so I place things slightly to the right. The Muf part is due in partially to the whole wheat-ness, also to the fact when I tried to gently transfer it to my cake pan it had thickened and the surface was uneven. When it baked it came out with a domed spiky top like muffins! It took 24mins in my fan oven. It may take up to 30mins in a non-fan. You could make it into real muffins / cupcakes and they would take 18-20mins. *if you use plain just squash a strawberry into it or add a teaspoon of beetroot powder to make it pink. If you use the beetroot powder you need a few drops of water for the colour to release. Mash your oil and yogurt (if needed the berry) together. Sieve the icing sugar into the bowl (and beetroot powder if using). Add the vanilla and mix it all together. Really get your back into it so that you get a nice smooth consistency. if too stiff or powdery add a bit of water. If too runny add a bit more icing sugar. This Apricot Bread was inspired by a couple of my Nana’s recipes. 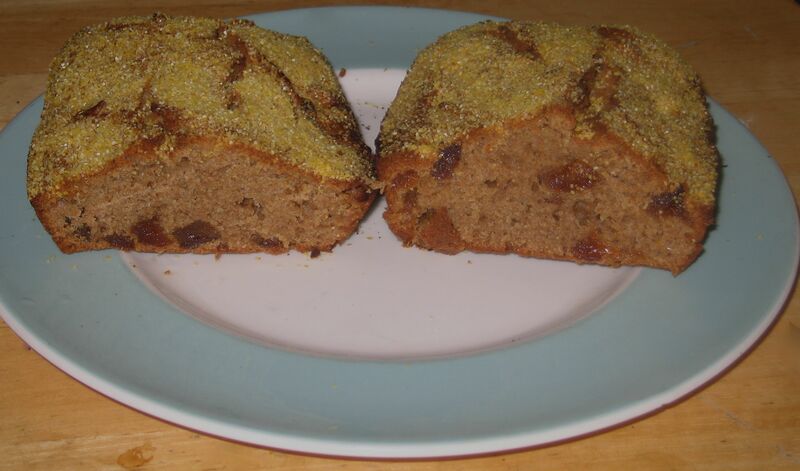 Her “Granny cake” which is an Irish style bread cake a bit like a big sweet scone that has sultana’s in it. The other recipe was her light Soda bread that was made with a sweet milk as opposed to a normal buttermilk/ sour milk one. I am not a huge sultana fan but don’t mind the less sweet dried apricot. Half a cup of oat bran. 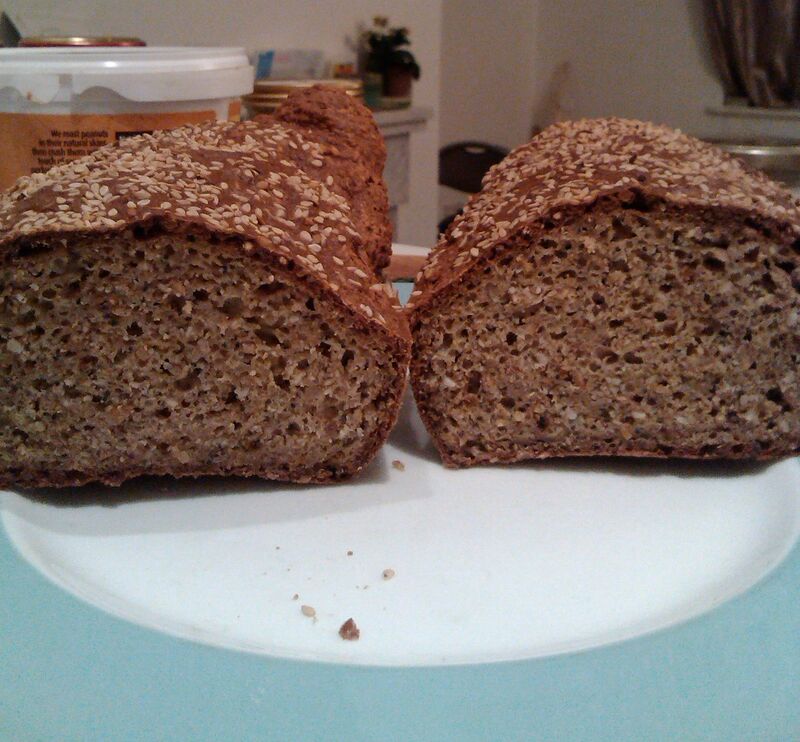 I actually made it with half a cup of buckwheat flour this time but it wasn’t as nice. Preheat your oven to 200C / 390F. Prepare a loaf tin. I use a normal pound loaf tin though the measurements may seem small for that. It will not expand like a ballon to the top of the tin, but don’t worry it isn’t meant to. Chop your apricots and put them to soak in a cereal bowl of water. Grab a mixing bowl and start putting in your dry ingredients, pausing to sieve the baking powder. In another bowl (or jar in my case) put in your wet ingredients. Pour the wet into the dry. Gently mix everything together, be carefully not to overwork. Once your ingredients are combined fold in the soaked apricots. Pour the batter into the cake tin, making sure it is even.Sprinkle the coarse maize meal onto. The maize meal will prevent it from burning. Put a few diagonal slashes on top to help with the rise. Place in the centre of your oven. After five minutes turn the oven down to 180C / 350F. It is done when it is coming away from the sides and a golden brown colour. It will take a minimum of thirty minutes, do not be tempted to take it out before then. I have a fan oven and it takes thirty five minutes , it could take forty five in a non fan. While writing this I forgot about the aforementioned Apricot bread and nearly burnt it. When you take it out leave it sit for five minutes. Wrap it in a clean towel and leave it to cool for another fifteen minutes. I leave mine cool on the windowsill. If you cut it while it is warm the texture can turn gummy. This is what will probably happen mine, since I cut it so I could take a photo! You will need -> a measuring jug, cup measures or the mug you usually use for measuring (like me),spoons, a loaf tin, a sieve and a clean tea towel. A quarter cup of other seeds. This time I added sesame seeds, one dessertspoon of ground linseed and two dessertspoons poppy seeds. Measure your non-diary milk, add the apple cider vinegar and give it a stir. Get a bowl and put your flours into it. 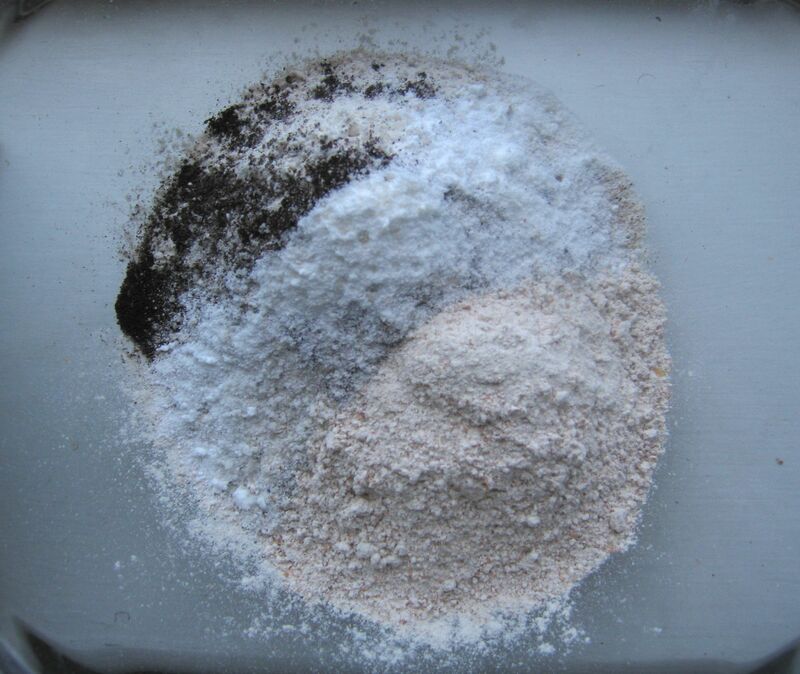 Sieve in your bread soda (baking soda) , your baking powder and your salt. Mix these into the flours. 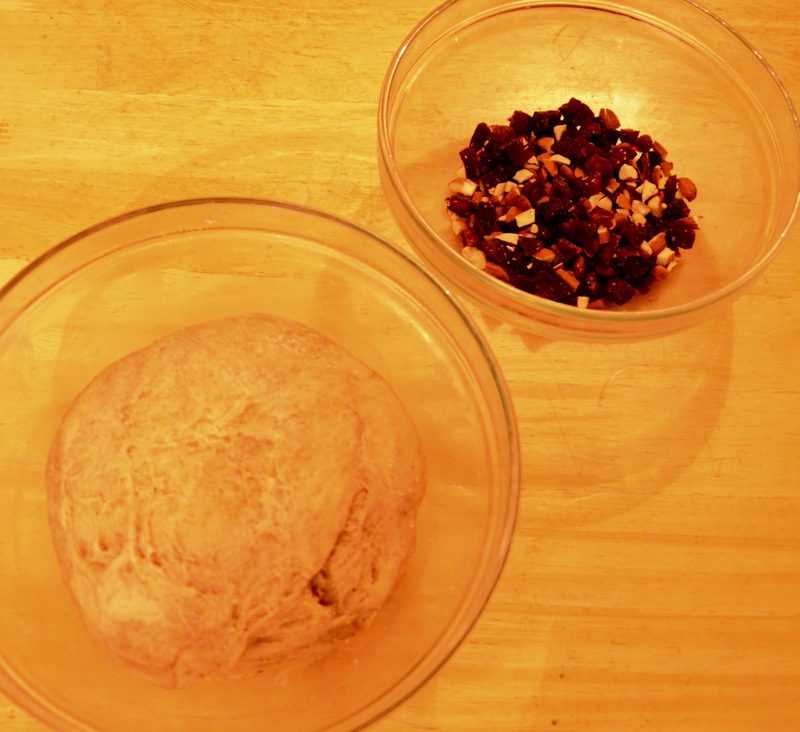 Add your seeds and stir them through the flours , just so its evenly mixed. Make a well in the centre and pour your soured non-diary milk in- all in one go. Gently fold the mix together, just until there are no giant lumps . You need to act fast, the alkaline soda immediately starts to react with the acidic soured milk to create the bubbles. If you are too slow, too rough or over mix you will loose the air bubbles and therefor miss out on having a nice rise to your bread. 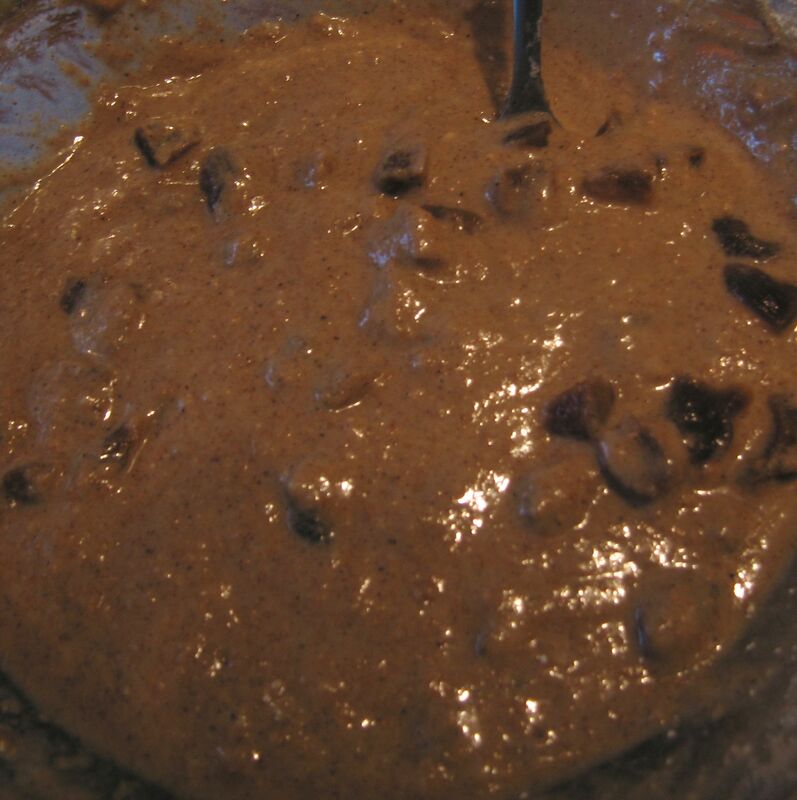 Pour the batter into your prepared loaf tin, it will be very wet so will naturally even out. Put three slashes across the bread (sideways). This helps the rise, through traditionally it is to leave the fairies out… Sprinkle your seeds on top. They add a nice crunch and prevent the top burning. Put in the centre of your oven. After five minutes turn the temperature down to 200C /400F. In my Uber fan oven it takes a total forty five minutes, but when I had a regular oven it took fifty five minutes (including resting time in oven). You will know it is done when it is coming away from the sides and is good brown colour. If you are worried take it out and using a tea towel tilt the loaf out and give the bottom of the bread a gentle tap of your finger, it should sound hollow. If you are confidant your bread is done turn your oven off and leave it in for another five mins. Leave the bread to cool in the tin for another five minutes. Get a clean tea towel and gently take your loaf out of the tin. 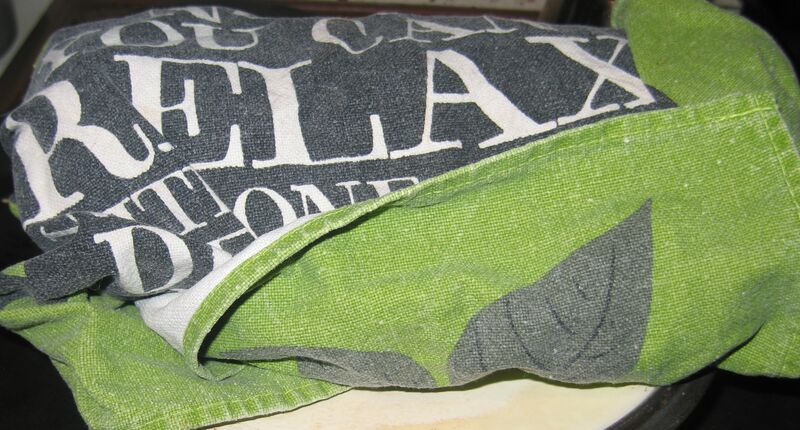 Loosely wrap your loaf in the tea towel, this stops the crust from being too hard. Let it cool completely before cutting, if you cut it too early the texture will turn gummy. * A note on silicone : some cheaper produced ones can contain fibreglass, from what I have read you can tell by twisting the silicone if there are white flecks or stretch marks then it has fibreglass in it.